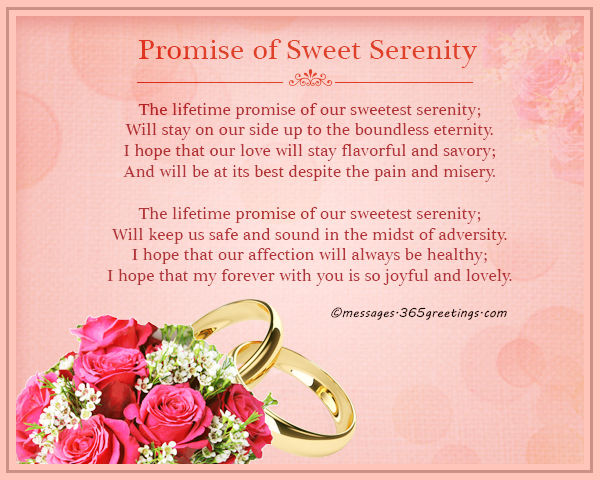 Here are some beautiful wedding poems for you. We can never choose when to be born, neither can we choose when we will die. However we can choose when we will wed. How glorious is that thought. When two people decide to celebrate their love by wedding it is a wonderful thing because it is a loud witness to all who care to listen that the two are proclaiming their love for the whole world to see. And what better way to commemorate this special day than to share special words from the depth of your heart! Tell the one you love how much they mean to you with words from your heart. You do not have to be the best poet in the world or the best lyrist neither do you have to have the perfect arrangement. Simple words said with love will be treasured by the one you love and long after the wedding day has passed your darling will remember your vows to them. Will stay on our side up to the boundless eternity. And will be at its best despite the pain and misery. Will keep us safe and sound in the midst of adversity. I hope that my forever with you is so joyful and lovely. 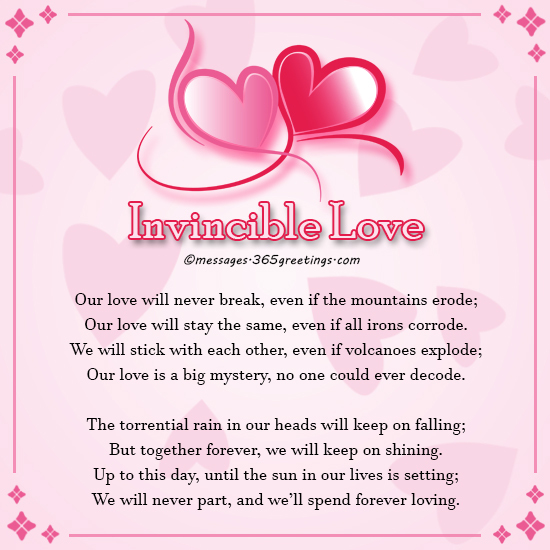 Our love will stay the same, even if all irons corrode. Our love is a big mystery, no one could ever decode. But together forever, we will keep on shining. We will never part, and we’ll spend forever loving. In times of highs, in times of lows, you will always be with me. I will always be here, to help you through and make you happy. For I know I picked the right one to give my love of sweet taste. And share the love that we have, so true, so dear, so chaste. This is the aisle of love and for you I will never stop walking. 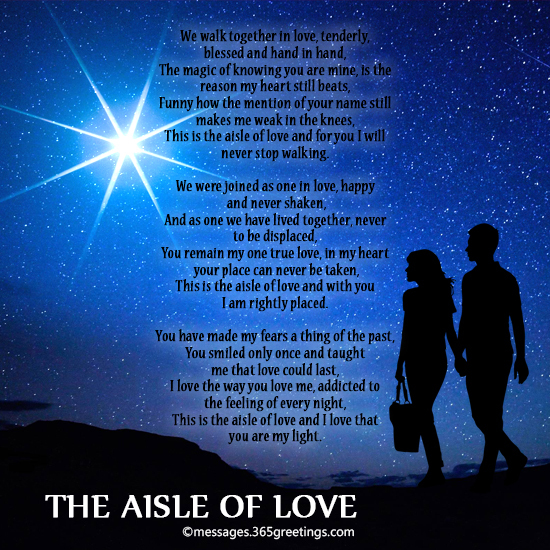 This is the aisle of love and with you I am rightly placed. This is the aisle of love and I love that you are my light. Dance with me, so everyone can get to know our stand. 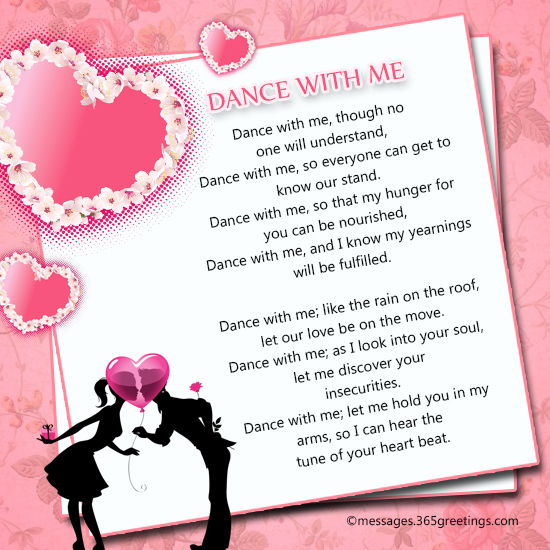 Dance with me, and I know my yearnings will be fulfilled. Dance with me; like the rain on the roof, let our love be on the move. Dance with me; as I look into your soul, let me discover your insecurities. Dance with me; let me hold you in my arms, so I can hear the tune of your heart beat. Dance with me; as I make you mine forever, let me hear you say I do.